PayPal Challenges WeChat Pay Until Go-Pay via Grab?  Home  Tech  PayPal Challenges WeChat Pay Until Go-Pay via Grab? PayPal, a US-based company specializing in financial technology, is reported to be negotiating with Grab on the possibility of providing investment to the carpool company. According to Vulcan Post, Deal Street's Grab exploration in Asia is part of the Grab H series financing. It is expected that Grab will target a $ 2 billion financing of the series. 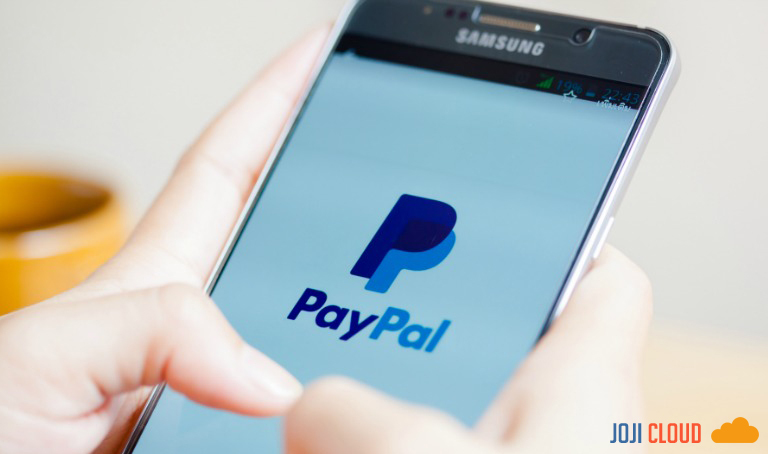 However, the entry of PayPal has made their goal raised to $ 3 billion. In the H Series financing, Grab received an investment from two companies in November 2018. First, on November 6, Grab invested $ 250 million in Hyundai, a South Korean auto company. On November 8, 2018, Grab obtained an additional H Series investment from Kasikorn Bank, a $ 50 million private Thai bank. Since the acquisition of more and more funds, Grab is now a "decacorn", the company with a valuation of more than 10 billion dollars. Leaving Go-Jek, Tokopedia, Traveloka, SEA, until Razer, Southeast Asian startups that still have the status of unicorn - companies worth more than 1 billion euros. In early November 2018, Grab announced that it would add a discount feature, currency transfer services, to GrabPay services. The plan, cash remittance features will be actively used during the next I-2019 quarter. The PayPal integration project in Grab is probably not only a question of money, but also financial technology technical support (fintech) that masters PayPal. The birth of PayPal is linked to two Fintech startups in the United States named Confinity and X.com. Confinity is a security system boot for handheld devices. In 1999, Confinity launched a new product in the form of an online money transfer service. The same year, X.com was born. It is a startup of the online banking founded by Elon Musk. In March 2000, Confinity and X.com merged and a year later, they changed their name to PayPal. At the beginning of its appearance, PayPal is a financial service commonly used by online shopping on eBay. This then swept the mind of eBay to buy PayPal in July 2002 for $ 1.5 billion. PayPal has grown into one of the largest financial technology companies. Unfortunately, the size of PayPal is only on the desktop. In the age of smartphones, they still can not do much. Cited in the news of The Montley Fool, PayPal must now fight against its competitors, who have a special hold that PayPal does not have. Apple Pay, Samsung Pay and Android Pay can force users to use their services because these three financial services are managed by smartphone manufacturers. This particular access, for example, allowed Apple Pay to process more than one billion transactions at the end of the I-2018 quarter, as it has 1.3 billion active Apple devices used by users worldwide. PayPal has been used in more than 200 countries with support for 25 different currencies. Unfortunately, PayPal is only powerful in the United States. From the Statista page, PayPal in the third quarter of 2018 has 254 million active users, including 69 million from the United States. If PayPal pays funds in Grab, this can be seen as a way for PayPal to deepen the Asian market. Asia is one of the largest digital payment markets in the world. In 2018, the value of this digital payment transaction reached $ 1.6 trillion. The value of the transaction should increase. PayPal, in its internal study entitled "Digital Payments: Thinking Beyond Transactions," said that Asians still prefer to use money. Nearly 70% of respondents in India, the Philippines and Indonesia recognized it. Only Chinese respondents were at the forefront of digital transactions in the region. This means that there are very good opportunities to expand digital financial markets in Asia.